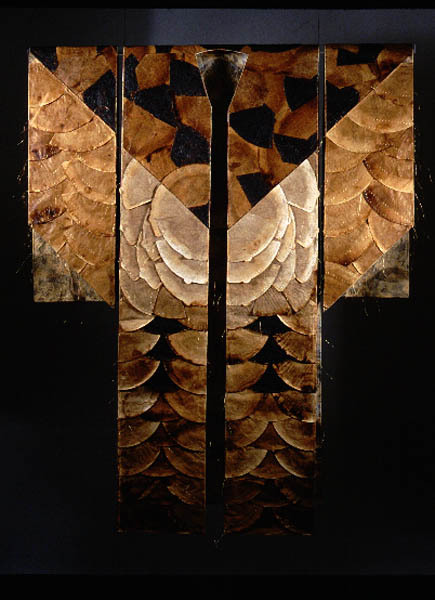 44" x 36" x 2"
Lucy Matzger saves coffee filters to be used in two and three dimensional works of art. The filters are dried and then worked in various manners. Xeroxing, sewing, stapling, and stamping are some of the ways to embellish the filters before forming them into different shapes. Durability is obtained by coating each filter with a mixture of polymer media and umber. The organic quality of the work is in distinct contrast to her creations of personalized and abstract hand dyed, quilted fine cotton wall hangings. Each one of her art quilts is mono printed in a variety of colors with transferred images in black or white, hand colored or color heat set. Additional elements of thread, acrylic, mixed fibers, text and used coffee filters add to a rich combination of textures and colors. Her Dutch background is readily apparent in much of her work. 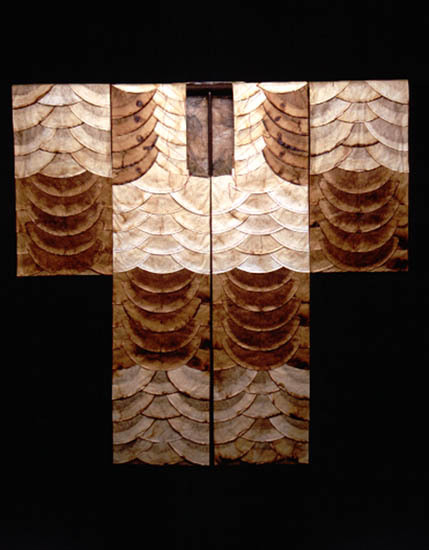 Lucy has exhibited widely since 1985 and has works in the private and corporate collections, including the Irvine Foundation, San Francisco; State Farm Insurance Co., San Francisco; Pacific Medical building, San Francisco, Leland, Parachini, Steinberg, et al., San Francisco. She is a partner in Cylaine Handwoven Designs. "Repetition in life influences my art-be it a ritual or just mundane daily occupations. If stability is a by-product of it all, then creativity brings harmony."